What is included in the M&A due diligence? 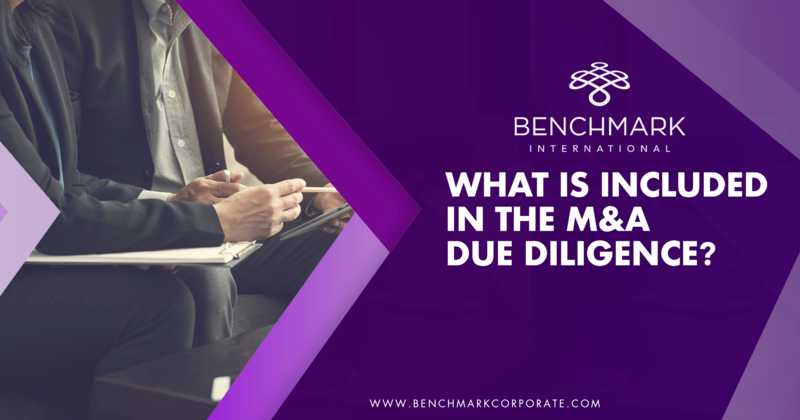 The due diligence process is one of the final steps in an M&A transaction where the potential buyer does its obligation to best confirm and verify the seller's company data and relevant information. 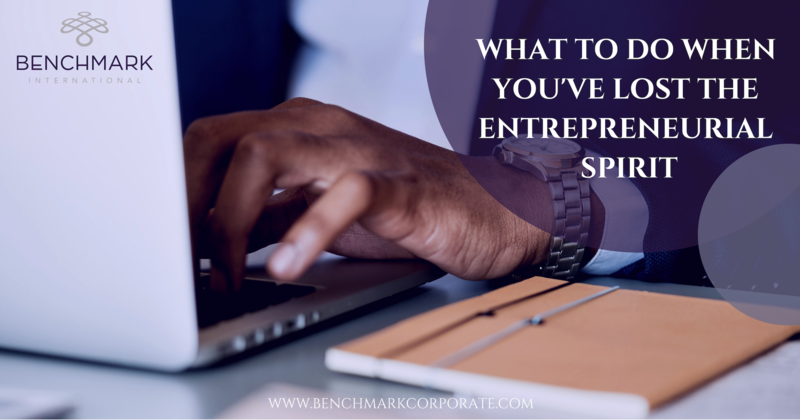 This information typically includes but not limited to: financials, IT, operations, legal & compliance, insurance, corporate bylaws, contracts, customers, among other important information. Typically, the due diligence process follows the execution of a letter of intent (LOI), a non-binding document outlining the intent of both parties to commit to the transaction. 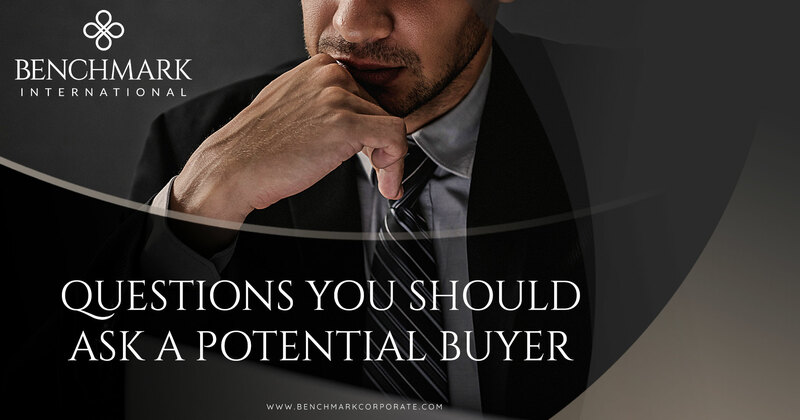 Once the LOI has been executed, the buyer will request a list of items to be shared by the seller with the intention of disclosing the selling company’s key details that could uncover risk buyer. As mentioned before, items can range all the way from financials to operations to insurance to contracts, among others. In cases where the seller owns the real estate, additional documents pertaining to the real estate, such as: deeds, mortgages, tax documents, owners’ insurance, etc. will need to be provided. 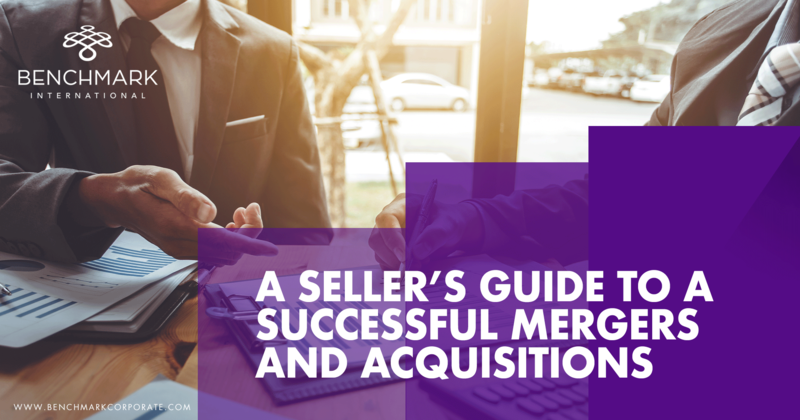 Given today’s advancements in technology, once the due diligence request list has been sent to the seller, the team leading the deal will proceed to open what we call in the M&A world a “virtual data room” or a “data room.” These two terms are referred to as online portals that hold and store the information requested by the buyer with high levels of security only available for certain parties, including: buyer, seller, M&A attorneys, CPAs, advisors, among others. The data room allows activity within the room to be tracked and archived so there is a file of the information exchange after closing should any issues arise. 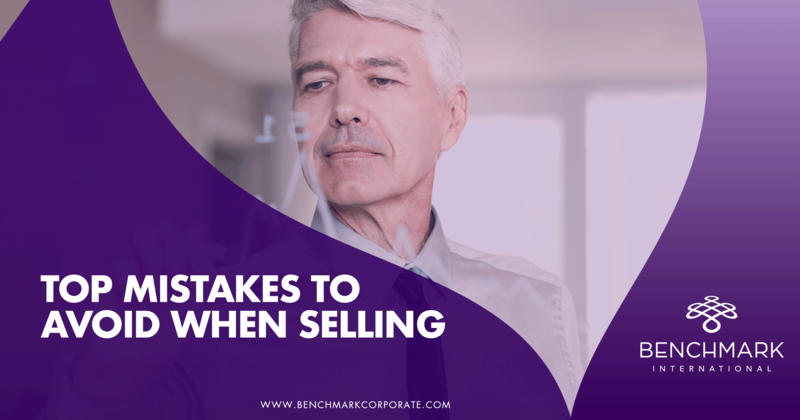 Once the due diligence starts, it is highly recommended for the buyer to hold, at the very least, weekly meetings or calls with the seller to discuss outstanding items or any questions that may have arisen from the process. As the due diligence process progresses, the buyer will become more familiar with the seller’s company. 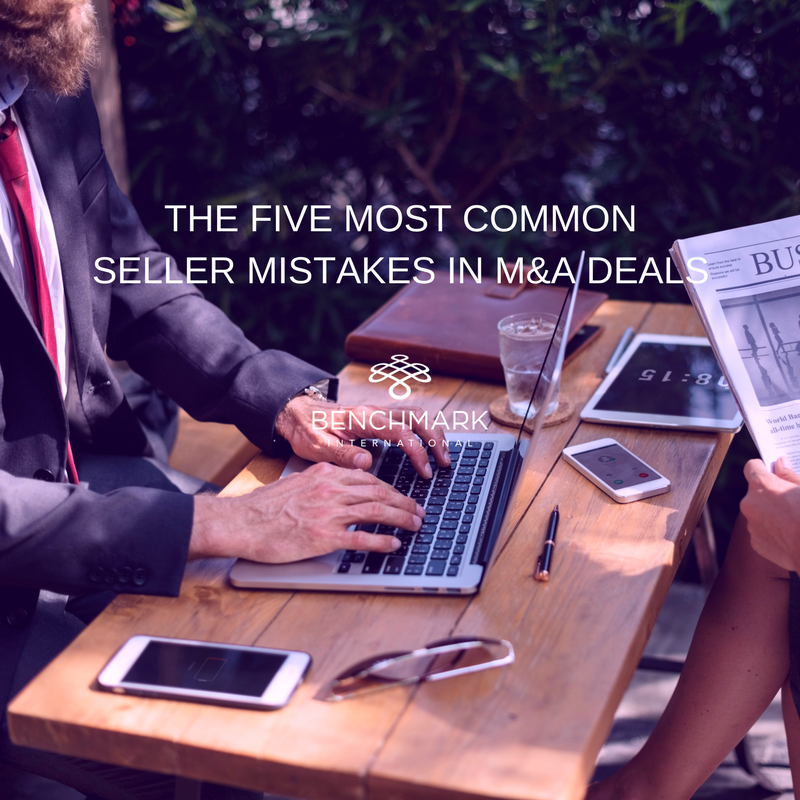 For an instance, should the buyer find any items that may play against the seller in the due diligence process, the buyer may use this to lower the valuation of the business which may ultimately result in a lower offer price. 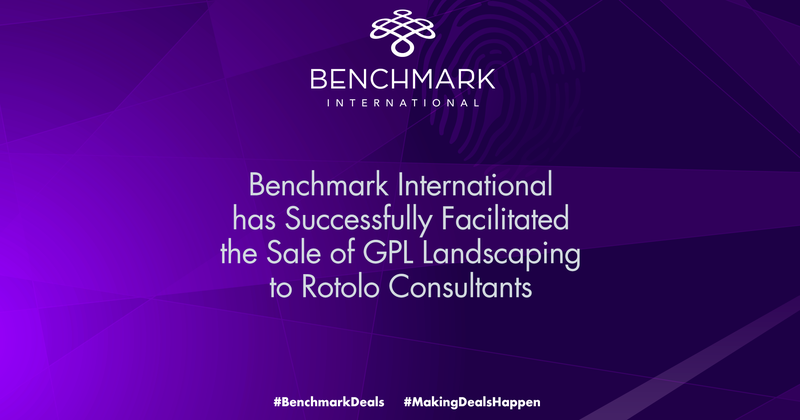 In addition, this process can result as a discovery of potential opportunity to better structure the deal, find real synergies among parties, review any benefits and challenges for potential system integrations, and any associated risks that may arise from the result of this potential acquisition. Benchmark International has Facilitated the Acquisition of Paragon Plastics, Inc. by Ashley Industrial Molding, Inc. 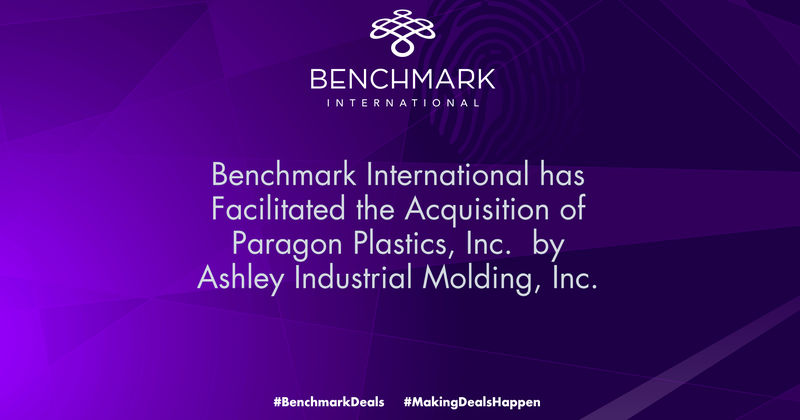 Benchmark International has successfully facilitated the acquisition of Paragon Plastics, Inc. (“Paragon”) by Ashley Industrial Molding, Inc. (“AIM”). Paragon is an original equipment manufacturing company using thermoforming technology to produce custom plastic products for marine, industrial, busing, and aerospace industries. Paragon was founded in 1993 by David Trout. The company produces high quality OEM components and offers a full range of services including CAD design, pattern milling, plastic forming, assembly, and finishing. The company’s proven track record, commitment to high-quality, professional work, combined with its advanced technology has enabled Paragon to establish a stellar reputation and build long-lasting client relationships. AIM, headquartered in Ashley Indiana, is a leading manufacturer of quality custom molded and painted plastic products and assemblies. AIM has manufacturing processes which encompasses capabilities in SMC Compression Molding, Reaction Injection Molding and Thermoforming. The primary marketplaces it services are the agricultural, industrial, construction, forestry and military markets. The company continues to expand its product capability and nationwide footprint through acquisitions. The Paragon opportunity became a good strategic fit for AIM’s growth. 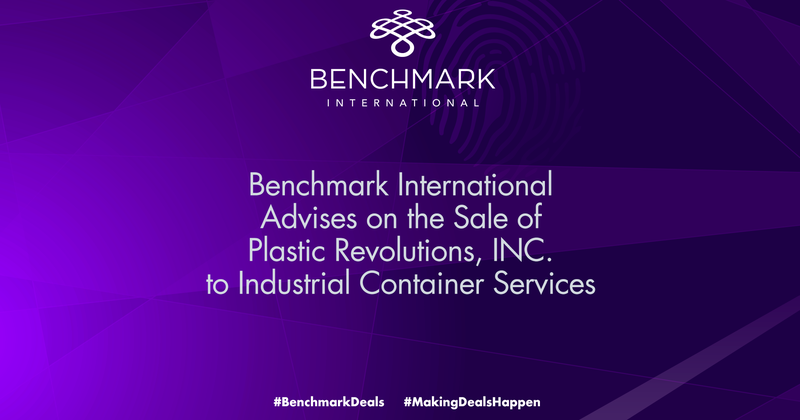 Benchmark International has successfully facilitated the acquisition of Plastic Revolutions, Inc. to Industrial Container Services. Plastic Revolutions, Inc. is a plastic recycling company that diverts post-consumer and post-industrial waste from landfills. The company receives plastic material in various forms from manufacturers, material recovery facilities, and brokers. The acquirer, Industrial Container Services, is the largest provider of reusable container solutions in North America. The company offers the most complete container management systems available including reconditioning, manufacturing, distribution, used container collection and recycling services for all major industrial packaging types. 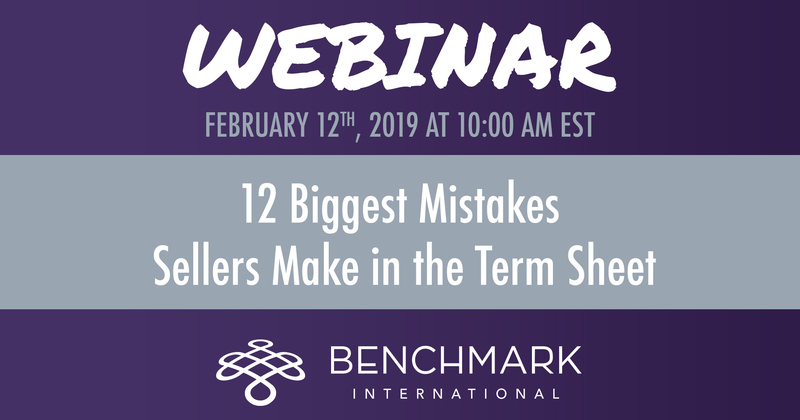 Given the current market standards, the Benchmark International team decided to focus on synergistic buyers for the client. This allowed Plastic Revolutions to obtain the best possible value in a transaction as both parties would benefit from the acquisition. The acquirer can now bring plastic recycling in house. The President of Plastic Revolutions, John Hagan, stated that his experience with Benchmark International was top notch. 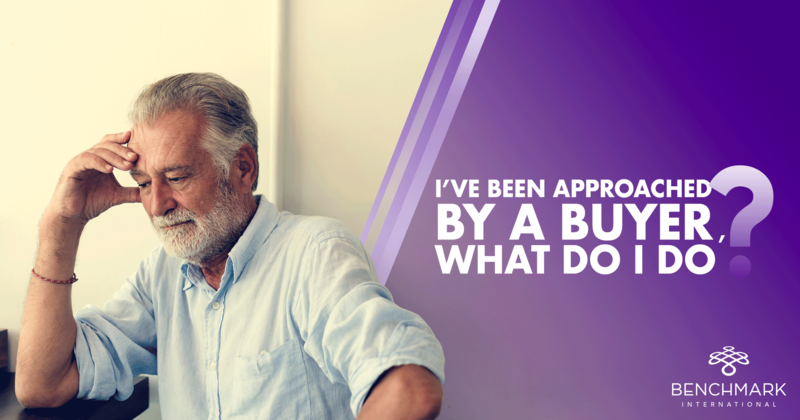 "Benchmark was unbelievably helpful in assisting in the sale of my company. They explained the process and were in front of the pack the entire way to the finish line," he said. "I would highly recommend Benchmark to anyone wanting to sell their company." Benchmark International has successfully facilitated the acquisition of Central Window of Vero Beach, Inc. by Florida Window and Door. Benchmark International has successfully facilitated the acquisition of Central Window of Vero Beach, Inc. by Florida Window and Door. Central Window of Vero Beach is a supplier and installer of windows, doors, and specialty screens for contractors and end-users. Florida Window and Door and its affiliates have been in the replacement window business since 1983, and have successfully serviced over 80,000 residential and commercial properties throughout the Midwest, East Coast, and Florida. The company continues to expand its footprint through acquisition. Central Window fits well strategically with Florida Window and Door’s growth plan. 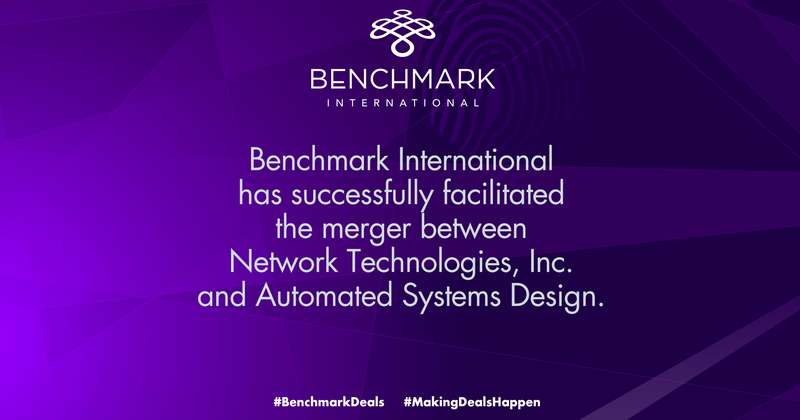 Benchmark International has successfully facilitated the merger between Network Technologies, Inc. and Automated Systems Design. 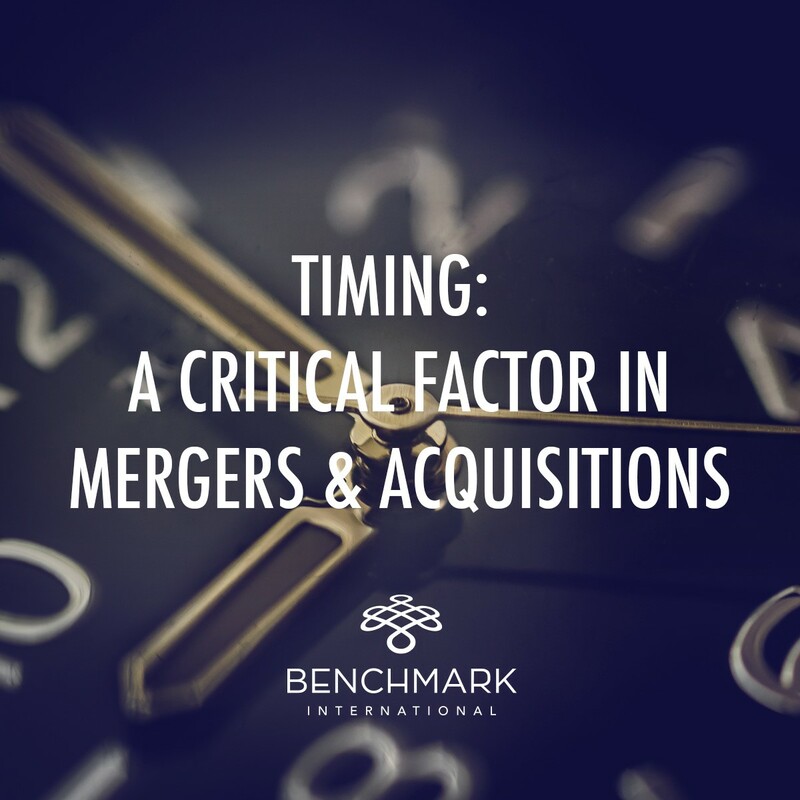 Benchmark International has successfully facilitated the merger between Network Technologies, Inc. and Automated Systems Design. Network Technologies, Inc. (NTI) is an IT infrastructure design and planning firm, specializing in technology cabling, audio/visual design and control systems, security systems and wireless networks. Automated Systems Design (ASD), is a nationwide provider of design, engineering, installation, and project management for workplace technologies for customers in a variety of industries. “We are very pleased to welcome NTI, led by Jeff Cook and Scott Dupuis, to the ASD family. The combined companies of ASD and NTI is a strong strategic fit that will provide our customers a fully integrated design/build organization. NTI's experienced management team and operational staff will be a strong addition to our organization and we look forward to integrating the team over the next few months. We believe the merged companies further our goal to expand our service offerings to both NTI and ASD customers throughout the US. We look forward to building on the success of both organizations and to continue to grow our customer base through the strong reputation of delivering projects on time and budget.” said Kevin Kiziah, President and CEO of ASD. Acquiring companies being in ‘take’ mode was a dangerous place to be, it claimed. Indeed, corporate giants are not immune from this conundrum either, if we think about, for example, Microsoft and Google wanting to get into smartphone hardware in ‘taking’ from Nokia and Motorola respectively. A buyer in ‘take’ mode means that the fortunate seller can increase price, especially if there is more than one potential buyer in the picture, and effectively remove the future value of the transaction. Buyers on the take, really knowing what they want, are also more prepared to pay top dollar – which, in and of itself, poses a problem in eventually getting a good return. But companies with a ‘getting’ focus also tend to lack adequate understanding of their new markets, making failure even more likely. 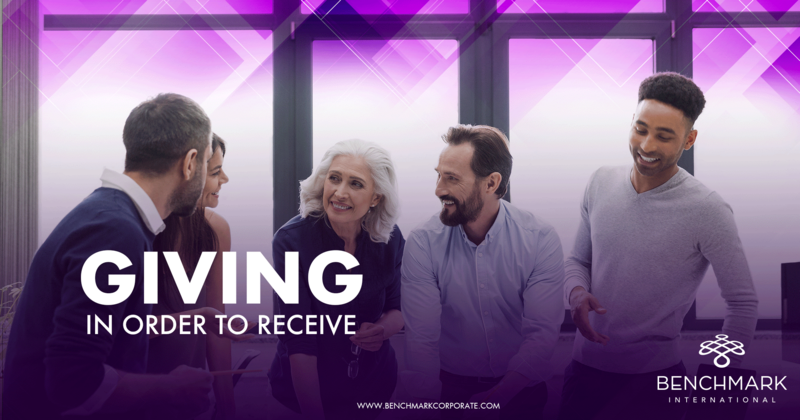 Having something to give to the deal, however, really benefits outcomes. This could mean anything that makes the acquired company more competitive in its market, and especially if the buyer is the only partner who can offer this new competitive edge.